Sierra's View: This Is Why I Watch the Olympics. Jake Dalton. US Gymnastics. Drool. You can't forget about Michael. Right? My guess is that Jake Dalton is 5'6". Haha, I love this. So true! Ryan Lochte > Michael Phelps any day!! um yes. there was also a sprinter last night, bailey, who was just to die for. thankkkk you boys. obsessed with this post. I'm not sure if it's cause I love YOU or those pictures. Oh wait, I'm married. Am I allowed to say that? ;) Jk. Derek loves it too. man, so sad the mens gymnastics is over...diving still to come though! 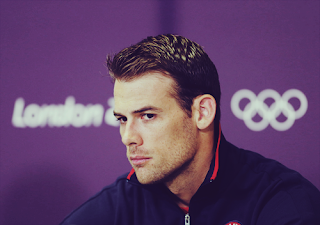 maybe I should be watching the olympics after all..